Zipping ‘round a NASCAR track, dropping by a family beef farm, stopping at a Ford plant outside Detroit: Mark Zuckerberg has come to look for America. 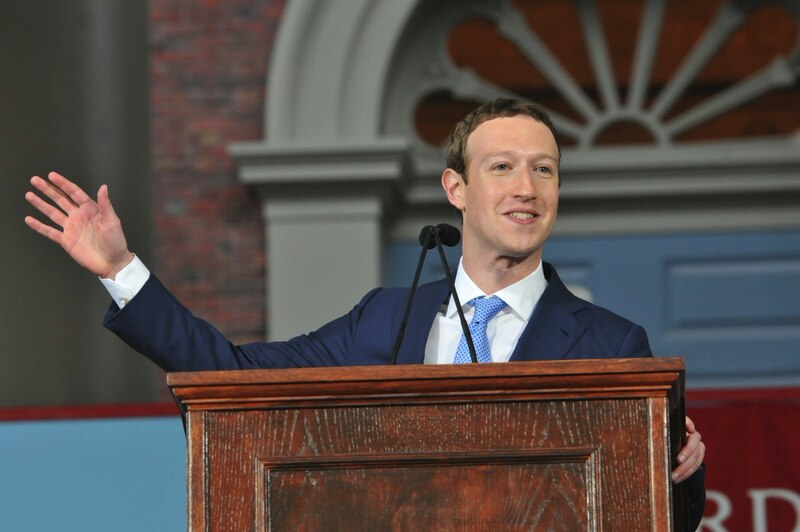 Whatever’s said by the media (or in unsealed court filings), the Facebook co-founder and CEO has insisted that his 50-state tour isn’t just a prelude to a run for elected office. This latest leg of the trip went from Mount Katahdin and a shut-down paper mill in Millinocket, Maine, all the way down memory lane, as he and his wife, Priscilla Chan ’07, returned to old haunts in the Boston area: his favorite pizza joint; her old high school. Final destination: Harvard, for his Commencement address and honorary degree, and her tenth reunion. Read Mark Zuckerberg’s full text here. Afternoon exercises are officially the annual meeting of the Harvard Alumni Association (HAA). Before the two main addresses, HAA president Marty Grasso ’78 announced his successor, Susan Morris Novick ’85, as well as the results of the elections for the HAA board of directors and Harvard’s Board of Overseers. 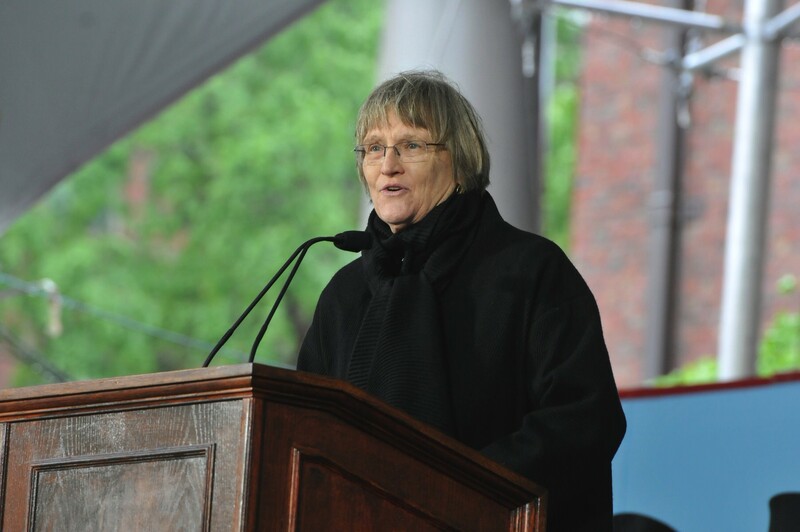 President Drew Faust also presented three Harvard Medals, which honor extraordinary service to the University, to longtime HAA volunteer and Crimson athletic memorabilia curator Warren Masters “Renny” Little ’55; former adviser to multiple Harvard presidents A. Clayton Spencer, A.M. ’82; and architect Henry N. Cobb ’47, M.Arch. ’49, a former professor and department chair at the Graduate School of Design.